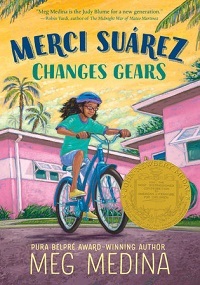 Merci Suárez knew that sixth grade would be different, but she had no idea just how different. For starters, Merci has never been like the other kids at her private school in Florida, because she and her older brother, Roli, are scholarship students. They don’t have a big house or a fancy boat, and they have to do extra community service to make up for their free tuition. 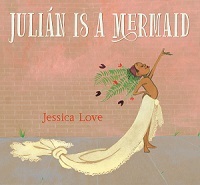 So when bossy Edna Santos sets her sights on the new boy who happens to be Merci’s school-assigned Sunshine Buddy, Merci becomes the target of Edna’s jealousy. Things aren’t going well at home, either: Merci’s grandfather and most trusted ally, Lolo, has been acting strangely lately — forgetting important things, falling from his bike, and getting angry over nothing. No one in her family will tell Merci what’s going on, so she’s left to her own worries, while also feeling all on her own at school. In a coming-of-age tale full of humor and wisdom, award-winning author Meg Medina gets to the heart of the confusion and constant change that defines middle school — and the steadfast connection that defines family.